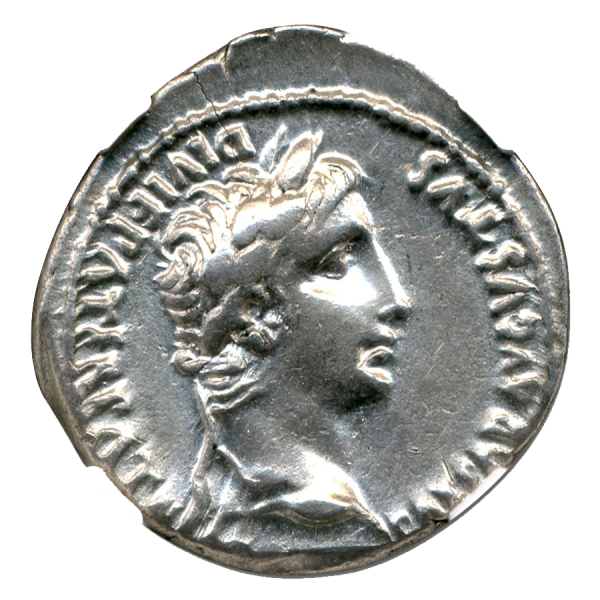 This Silver Denarius was struck during the reign of the Emperor Augustus (27 BC – 14 AD). 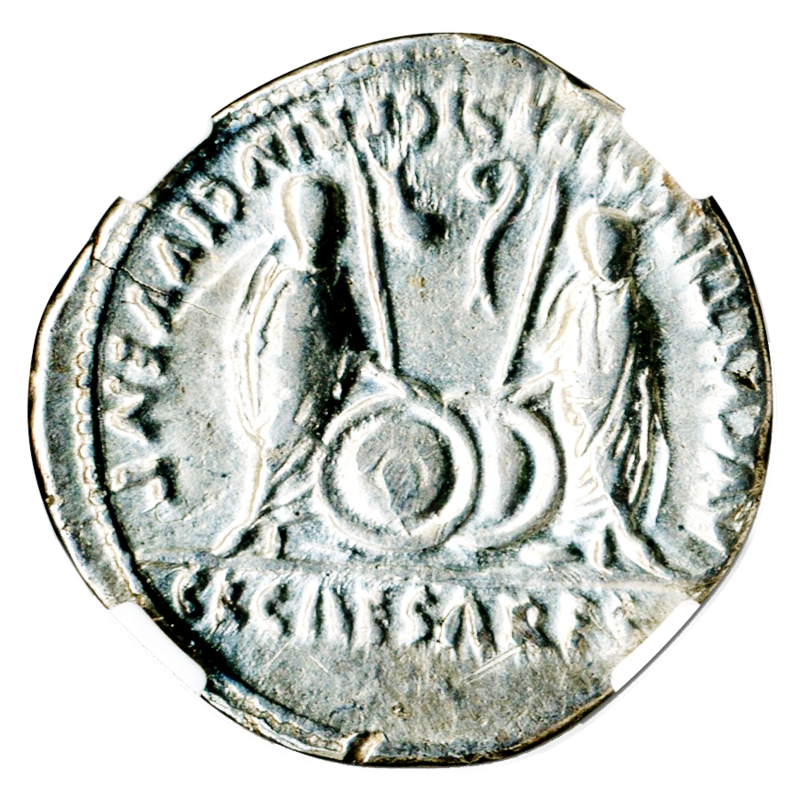 AR Denarius: This Silver coin is from the reign of Augustus (ca 27 BC-14 AD), 3.8 grams. 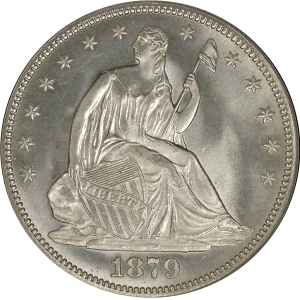 Graded Extra Fine and authenticated by NGC to protect your investment. Obverse: Laureate head of Augustus. 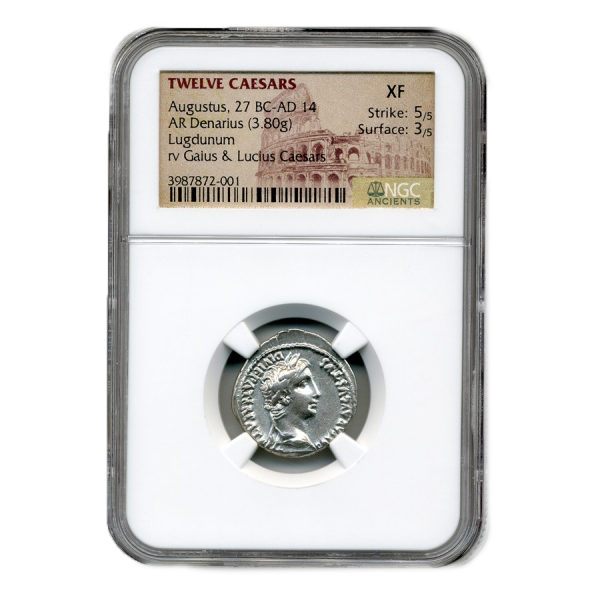 Reverse: Portraits of Gaius and Lucius Caesar.